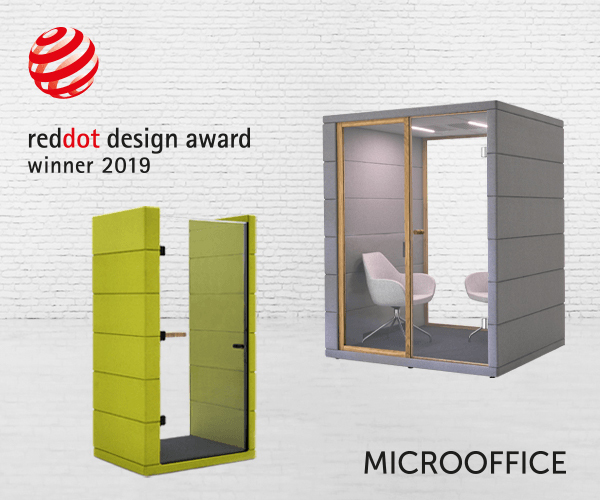 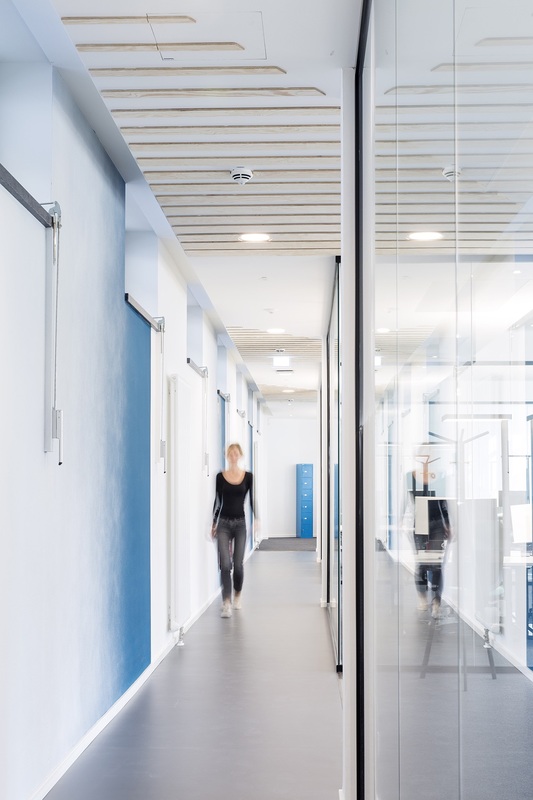 MOIA, a subsidiary company of Volkswagen AG that works on new mobility concepts, recently hired architecture and interior design firm LAIK.DESIGN to design their new office in Hamburg, Germany. 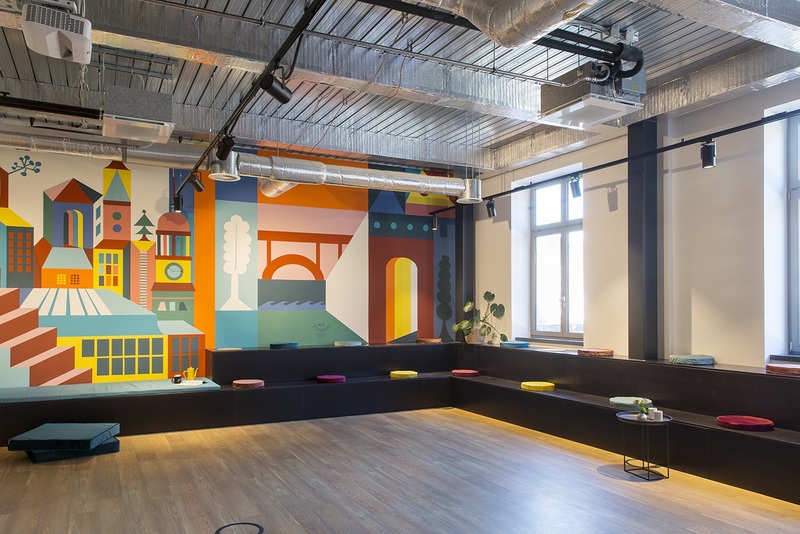 “The new office space of MOIA GmbH, a VW subsidiary realizing on-demand mobility services, was built on 1.400 sqm in the historic Stadthöfe in Hamburg. 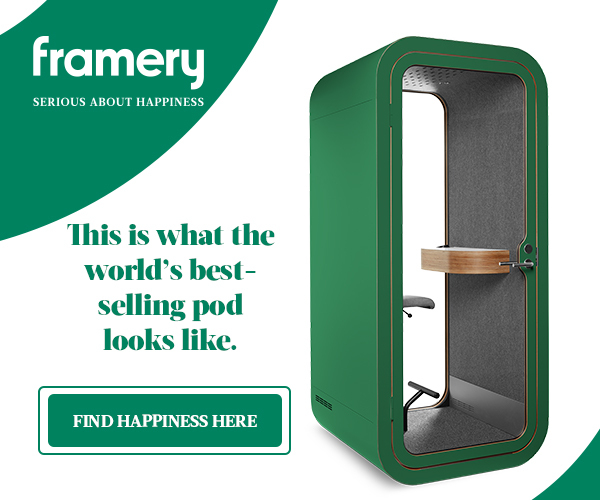 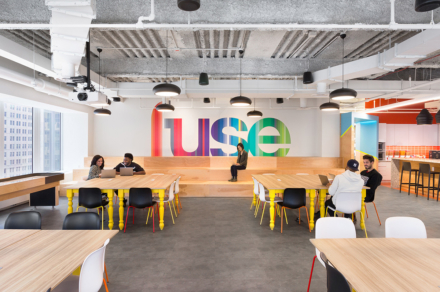 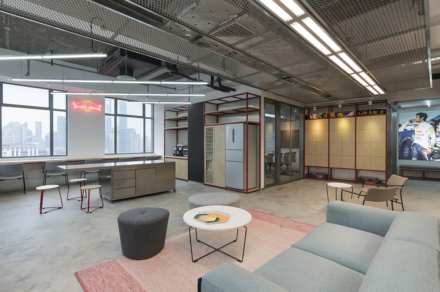 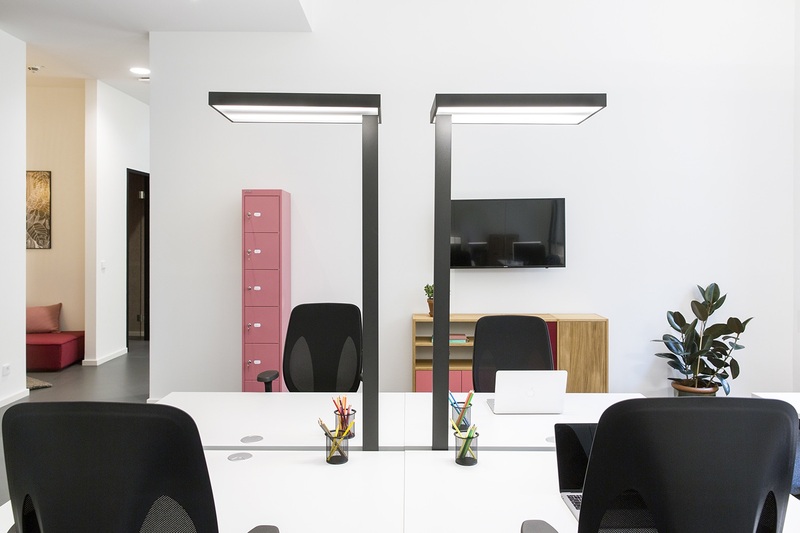 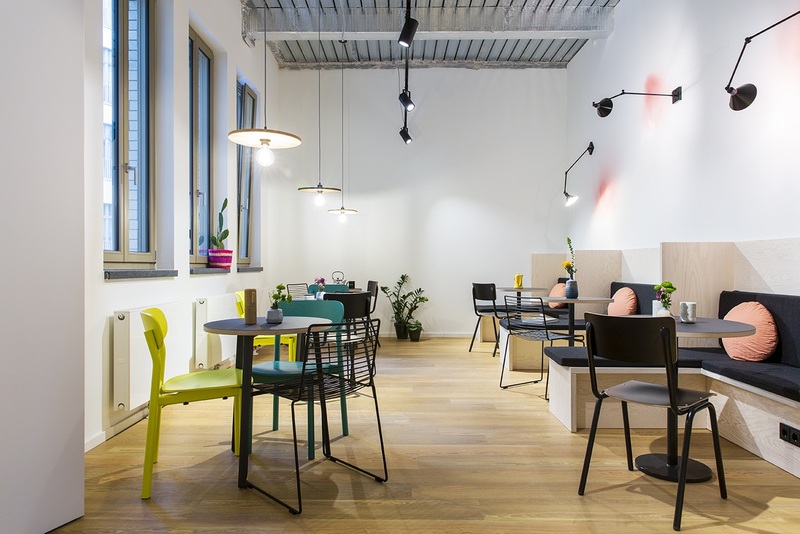 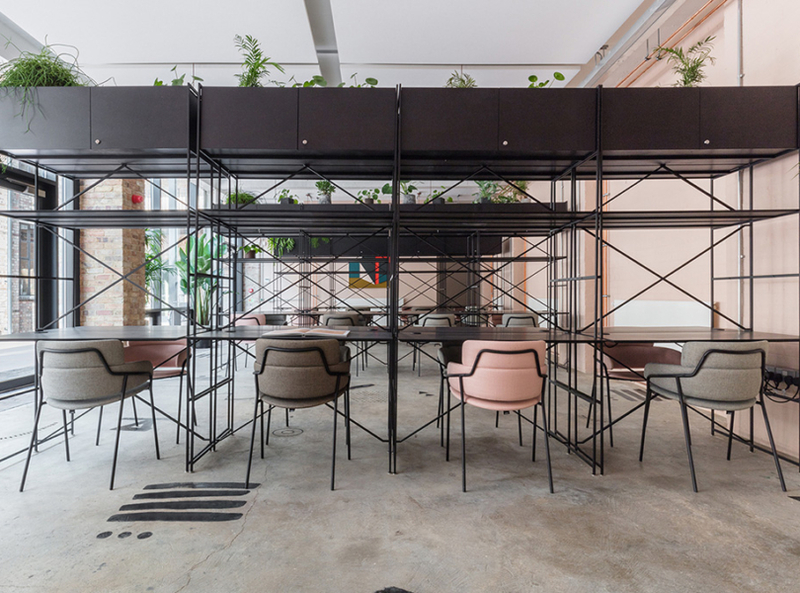 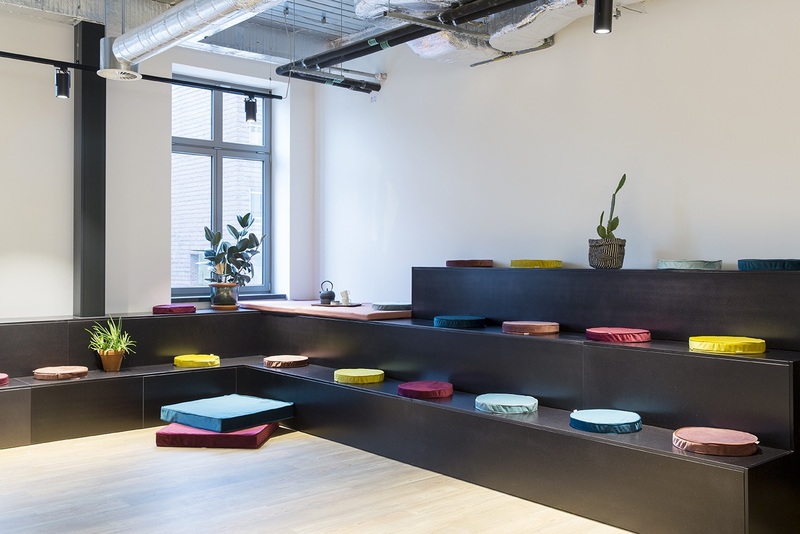 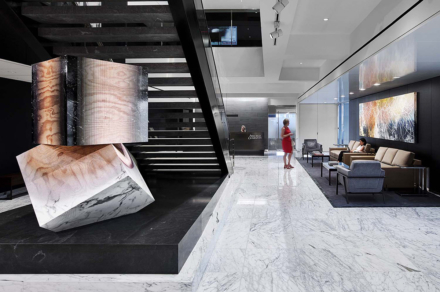 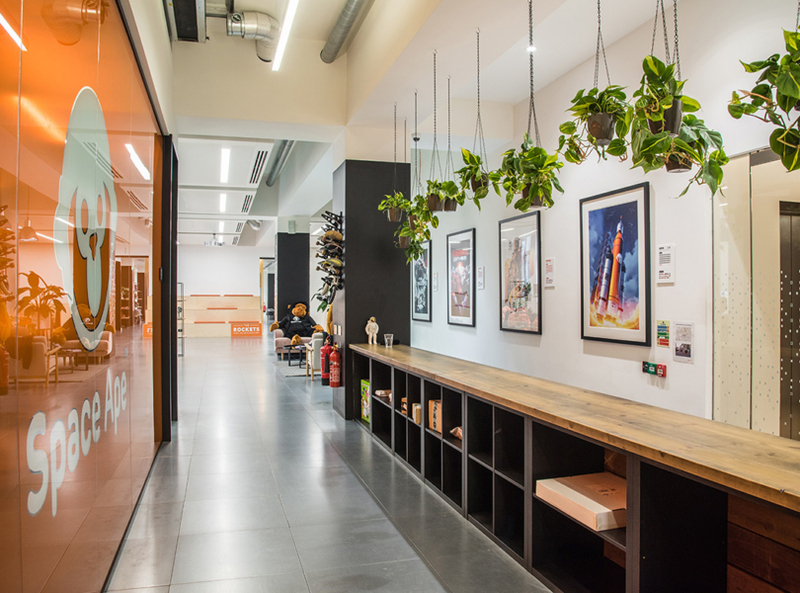 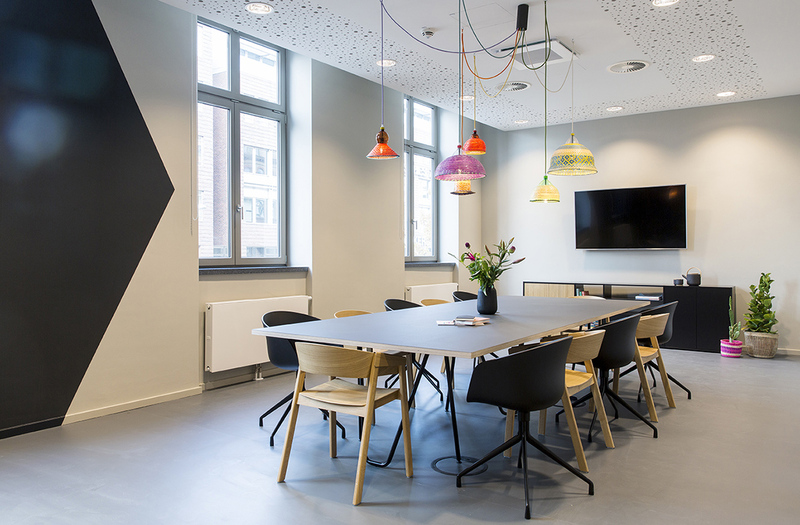 The functional office space is a new work home for 120 employees, offering them inviting workspaces, flexible meeting boxes in 1on1 & 2on2 situations and telephone boxes. The heart of the office space is the spacious kitchen with an attached café corner and a seating area for larger presentations, workshops and meetups. 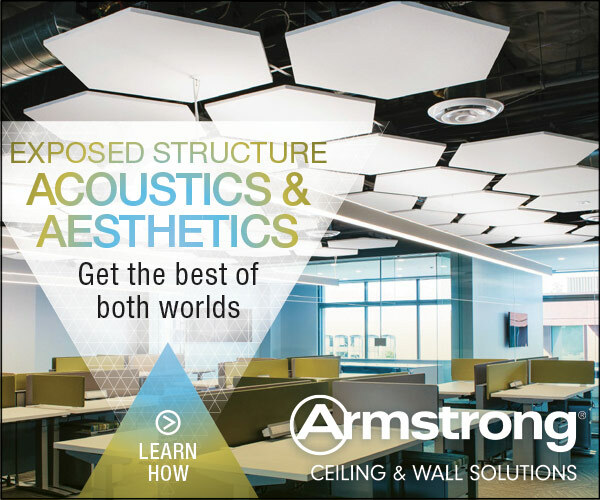 To improve the acoustics in the office, the executing design studio LAIK.DESIGN conceptualized tailor-made wooden ceiling in the form of triangles, circles and battens. 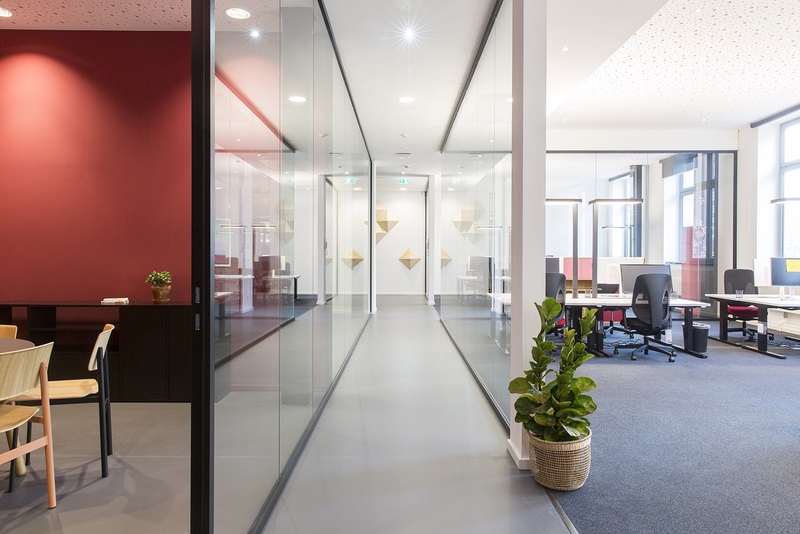 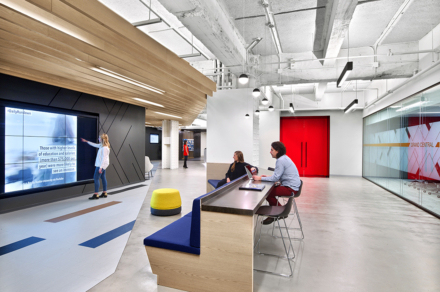 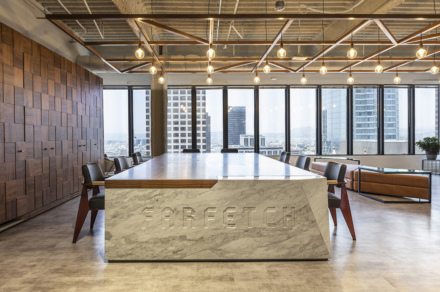 The design of the entire office space emphasizes the company’s industry by embracing the Social Movement theme especially in the wall and ceiling deign.